In this blog, we’ll discuss several different sleep apps and their efficacy to determine if it’s worthwhile to incorporate them into your sleep regime. This app offers guided meditations, breathing exercises, and soothing sounds as well as meditations and bedtime stories specifically made to improve sleep. Price: Free, with optional in-app purchases. The price goes as high as $59.99 for a yearly subscription. Our Verdict: For those having a hard time winding down at night, the Calm app’s meditations and bedtime stories may ease you into a more relaxed state, helping you fall asleep faster. Uses the combination of a soothing voice, binaural tones, and sound effects to help lull you to sleep. It has settings for both naps as well as sleeping through the night. Price: Free, with optional in-app purchases, and can go as high as $99.00 for a yearly subscription. Our Verdict: Many users of the app claim that it has helped them with insomnia. The jury is out on whether or not binaural beats actually help someone fall asleep — but regardless, the combination of soothing sounds clearly works for a lot of people. We advise that you start with the free download as a trial to see if your sleep improves. Our conclusion on relaxation & meditation apps: These apps are worth a shot for some insomnia sufferers, but they won’t be effective for all. Others with insomnia may need a combination of stimulus controls (training the brain to only sleep while in the bedroom), cognitive therapy, or possibly prescription sleep aids to see a difference. These apps certainly have their place, but they won’t help everyone. Claims to track sleep patterns and gives you a percentage score of sleep quality every night. It’s also supposed to wake you up during a light phase of sleep within a 30-minute window that you set to avoid grogginess. Price: Free, with optional in-app purchases. Goes as high as $29.99 for a yearly subscription. Our Verdict: This app claims to track your sleep patterns using sound or vibration analysis, monitoring your movements while you sleep. Vibrations and sounds alone are not enough to accurately assess sleep phases, but this app may work well for someone who wants to improve their sleep hygiene. For example, if you consistently receive a higher sleep quality score when you’ve worked out that day, this might indicate to you that working out, among its many other benefits, personally improves your sleep quality and should be a continued habit. Ultimately, the app’s assessment of sleep quality should be taken with a grain of salt, however. This app claims to help you stop snoring by gently “nudging” you with a sound or vibration when it detects snoring sounds. Our Verdict: Those who snore should not be woken up throughout the night as a means to stop their condition — this will only lower their sleep quality and likely make them feel more tired the next day. If snoring is due to sleep apnea, the only way to stop it or reduce symptoms is to get treatment. Snoring can also be benign or due to allergies, but even in those cases, waking the snorer up repeatedly throughout the night is not the solution to the problem. We don’t recommend this app. Claims to measure and track snoring so users can discover ways to reduce it. Price: Free, with optional in-app purchases. Our Verdict: While no app can reduce snoring on its own, we’re a fan of this app because it provides snoring graphs at the end of every night that allows you to objectively see the frequency of your snoring. For those with a sleep disorder, a proper diagnosis will still be needed, but the graphs produced by this app can be taken to a doctor and used as a starting point. Our conclusion on sleep tracking apps: No app can perfectly track sleep and/or snoring — only a sleep test can do that. 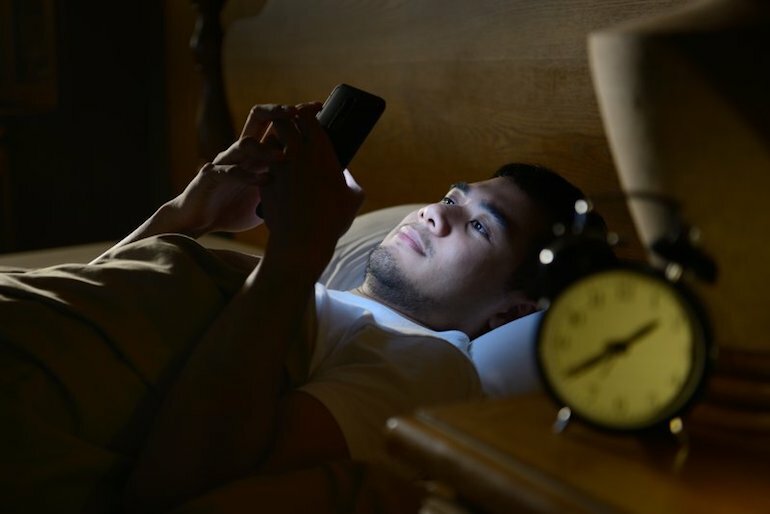 The data provided by such apps should not be taken seriously as a diagnosis or treatment for a sleep disorder, but they can be used to some degree to improve sleep hygiene and serve as a starting point for your doctor. Can Apps Help with Sleep Apnea? If you’re looking to get better sleep, some of these apps can give you a helpful push in the right direction, but if you believe that you might be suffering from sleep apnea, you should seek assistance from a professional. Sleep apnea can wreak havoc on a person’s quality of life and long-term health — but it is very treatable. After being diagnosed using a sleep study, a sleep apnea patient can start getting the rest they need with either a CPAP machine or oral appliance therapy. Dr. Jeff Rodgers is a board-certified sleep apnea dentist in Atlanta and a Diplomate of both the American Board of Dental Sleep Medicine and the American Sleep and Breathing Academy. At our practice Sleep Better Georgia, Dr. Rodgers can help patients discover the source of their sleep issue as well as provide custom-made oral appliances to help them overcome it. To learn more or schedule a consultation so you can start getting the rest you need, give us a call today.